My C-Lium Lose More, Live More journey has finally come to an end. The past six weeks of regularly taking C-Lium Fibre, exercising, and monitoring my calorie intake has greatly improved my health. For the benefit of those who read about my weight loss challenge with C-Lium, below are the highlights of the first four weeks. You can click each week title to read the full post. 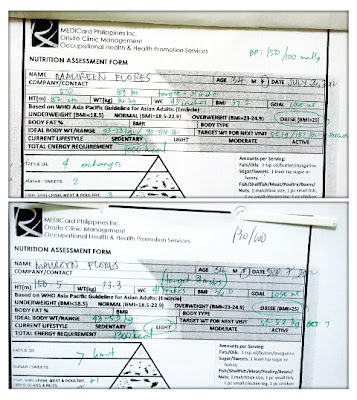 WEEK 1: The initial physical check-up and lab test done in July 26 revealed that I weigh 189 lbs and have a BMI of 37.2. Fasting blood sugar level was 5.2 mmol/L and LDL (bad cholesterol) level was 212 mg/dLwhich was 62 points above the normal range. WEEK 2: I started to dance an hour of Zumba everyday and monitor my calorie intake through the MyFitnessPal app (free for Android and iOS). My blood sugar and blood pressure showed signs of improvement. WEEK 3: I was introduced to the 4-minute MetaFIT exercise routine. I also started to do the cardio and strengthening exercises posted on the C-Lium Fibre website. WEEK 4: I and the other blogger ambassadors did CrossFit training together with C-Lium Fibre brand ambassadors, Angela Lupangco and Art Mendoza. Nadine Tengco, resident nutritionist and chef of Biggest Loser Pinoy Edition also taught us the right way to diet plus showed us how to make snacks using C-Lium Fibre. We had our final weigh in and blood screening tests last September 7. I am so happy of results because I lost 6 pounds which means I lost a pound a week. My blood pressure that morning was 130/100 mmHG but it lowered to 120/90 mmHG by the time I was about to go on the treadmill. Then a few days after, the lab test results came in and it showed that from 5.2 mmol/L in July 26, my fasting blood sugar level went down to 4.8 mmol/L. Also, from 212 mg/dL, my LDL level went down to 204 mg/dL. Take note that I did not take my maintenance meds (Metformin, Simvastatin, and Amlodipine) in the six weeks that I was on this challenge. My nutrition assessment forms. From 1000 calories a day, the nutritionist increased my calorie intake to 1300. She also said that I was progressing well because I can only lose as much as 2 lbs a week. Here's the good news I was raving about earlier. Of the 15 bloggers who were tapped for the C-Lium Lose More, Live More blogger's challenge, one winner was picked for each of the following categories: Biggest Drop in BMI, Biggest Drop in LDL Cholesterol, and Biggest Drop in Blood Sugar Level. Would you believe that I won the Biggest Drop in Blood Sugar Level category? 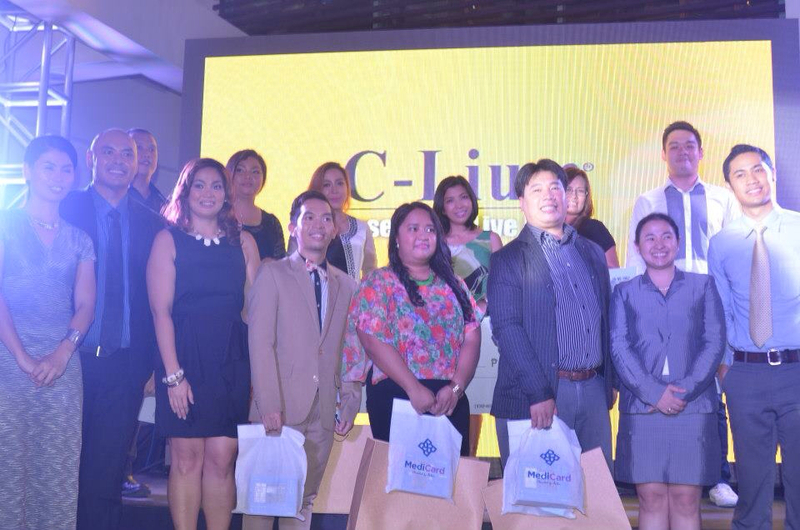 Here I am with C-Lium Fibre brand ambassadors Angela Lupanco and Art Mendoza, the winners of the C-Lium Lose More, Live More online promo, and blogger winners Azrael Colladilla (Azrael's Merryland) for Biggest Drop in BMI and Allan Enriquez (Running Free Manila) for Biggest Drop in LDL Cholesterol. Even I was a bit surprised of the results. At the beginning of the journey, I have already conditioned myself that I can't compete with the others when it comes to lowering my blood sugar level. 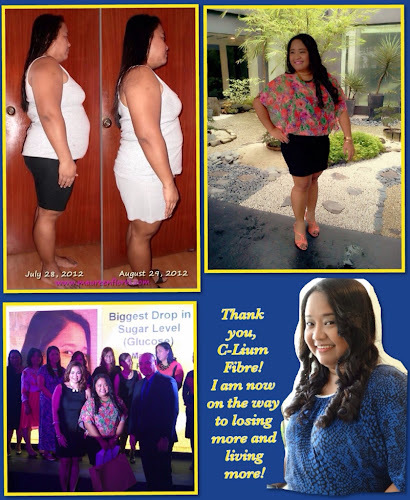 But I did it, thanks to regular exercise, regulating my calorie intake, and a daily dose of C-Lium Fibre. 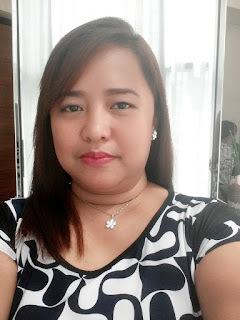 The blogger's challenge may have ended during our finale last September 20, 2012 but I will continue this fitness program to reach my fitness goal. I want one of my readers to embark on his/her own C-Lium Lose More, Live More journey. 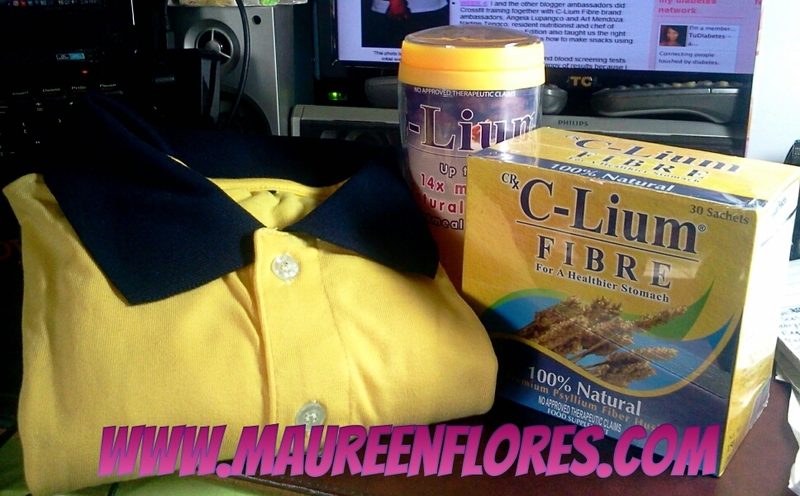 I'm giving away 1 box of C-Lium Fibre (30 sachets) plus a lovely C-Lium Fibre tumbler and a C-Lium Fibre shirt to one lucky reader. Just check out the Rafflecopter widget below for the mechanics. This giveaway is open to all readers with valid Philippine address. The giveaway will start on September 28 to October 27, 2012 (1:01 pm). Full name of the winner will be announced at the My Sugar Free Sweet Life Facebook page on October 29, 2012. Good luck! To live longer, to avoid disease/illness, to have self-confidence, and to get pregnant are some of my reasons why I want to look and feel young. I've been diagnosed with Polycystic Ovarian Syndrome (PCOS). It is a medical condition that can affect a woman's menstrual cycle, hormones, heart, blood vessels, appearance, weight, and the ability to have children. Having a healthy lifestyle will not only help me stay young but also reduce your chances of many of the complications associated with PCOS, such as heart disease, high blood pressure and Type 2 diabetes. And to have a healthy lifestyle I need a good diet, exercise, well managed stress levels, lots of sleep, and a glass of Clium everyday. I wanna lose weight so i can wear my prefer clothes, its so hard for me because i have a belly due to giving birth and pregnancy. I wanna live more and so i have to be fit. i want lose weight bec. i want to be healthy and sick-free. Although I don't have a lot of weight I need to lose, I still want to be healthy and stay healthy so I can better serve my purpose in this world..
To be more confident, live happy and healthy. So i can have a better quality of life with my loved ones:)! Good luck to your lucky reader! I hope that this person, like you, will embark on a journey to a healthier life. I want to shed some fats on my belly and loose weight a little.. I want to lose weight so I can live a longer and a quality life.. use it or lose it right? since i gave birth, i have this extra bulges in my body and i'm not feeling better anymore, i wish to stay fit again and live a more healthy life. I want to lose pls and live healthy for myself! I would like to lose more to live a healthier and happier life! I want to lose more to live more because I want to be more healthier and fit. I want to lose more to stay fit, healthy and to live longer for my loved ones. I want to lose more because I want to look good and to use the dress i adore! I want to wear my jeans and dresses again and be active with my growing kids . i want to live more for my family.